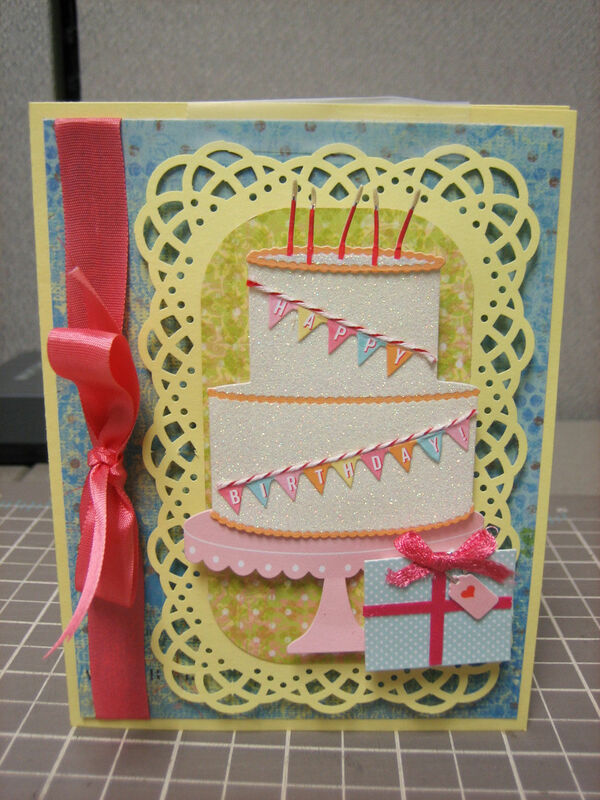 I certainly like to make my own cards for birthdays and special occassions. But I’m lucky enough to also receive beautiful handmade creations from some crafty friends! I thought I’d share a few of the great cards I have received recently. I know how long it takes to make some of these creations so I thought others might appreciate and be inspired by these beautiful cards! 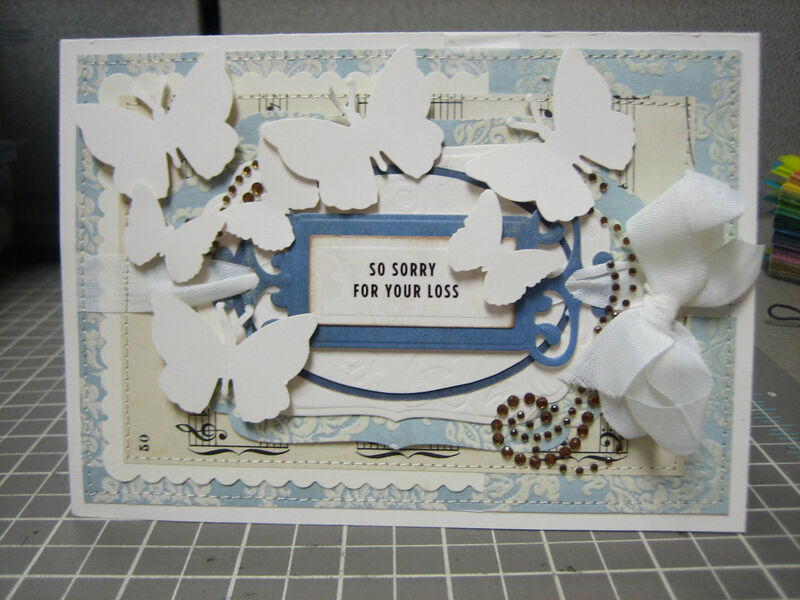 This one was made by a fellow crafty friend who writes the Art from the Heart blog on my blogroll. I love the layers and, of course, the use of multiple punch sizes! I have never considered punching butterflies in white, but I will now! 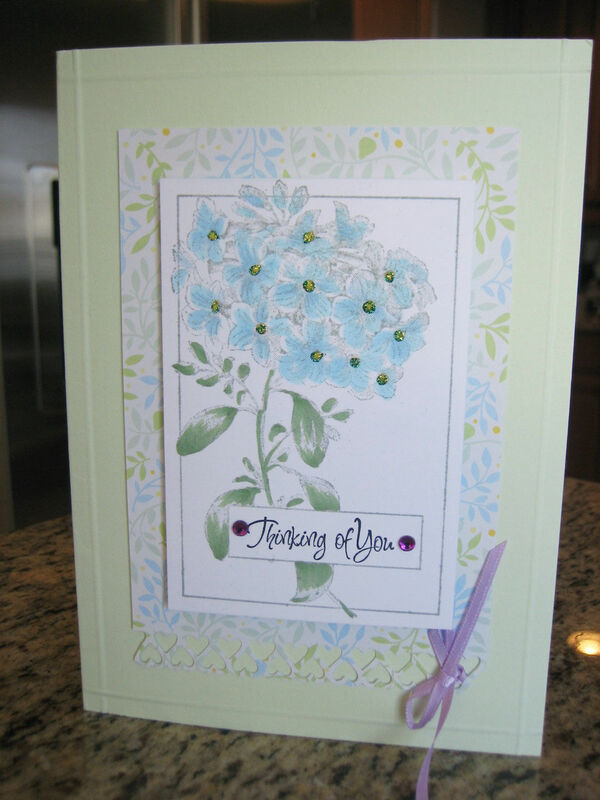 Here is another great card that shows off the multiple layer affect. Made by my friend K, I am inspired here by her use of colors and scrunched paper technique at the bottom. I need to try that! 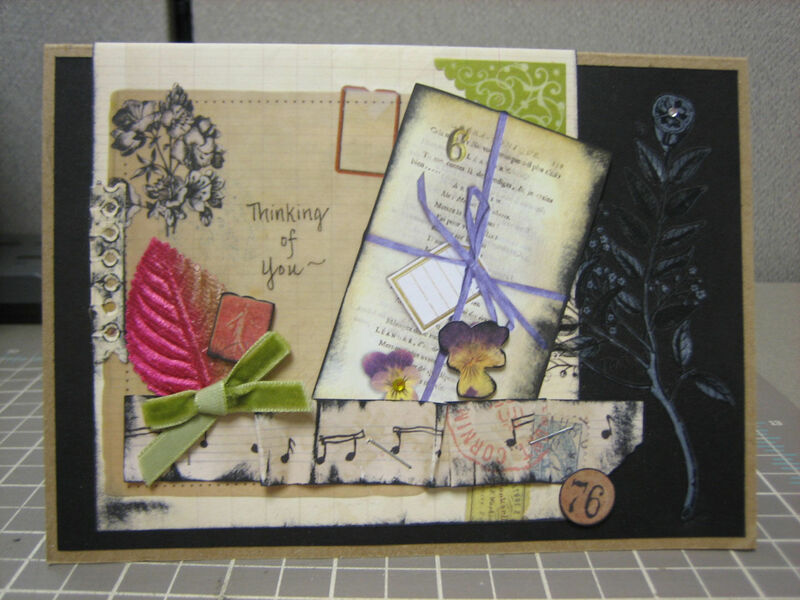 Here is one that shows off the beautiful stamping skills of my friend H, the writer for the Today’s Creations blog, also linked on my blogroll. I love the colorful details in her stamping! I even appreciate the embossed box she created on the front. I need to remember that technique! This yummy delight was made by mycoworker C as a joint department birthday card from February. It features all products from Martha Stewart Crafts, including this chipboard set! Thanks again to my crafty friends! And I must say this is just a sampling of some of the great creations I’ve received lately. I appreciate all the creative time put into all my received handmade cards! Let There Be Light What happens in diapers stays in diapers! I agree, Tara, heartfelt greetings are special! Thanks for sharing with your readers! These are all wonderful, Tara! Looks like you have some pretty special friends!!! HA!! Thanks for sharing!